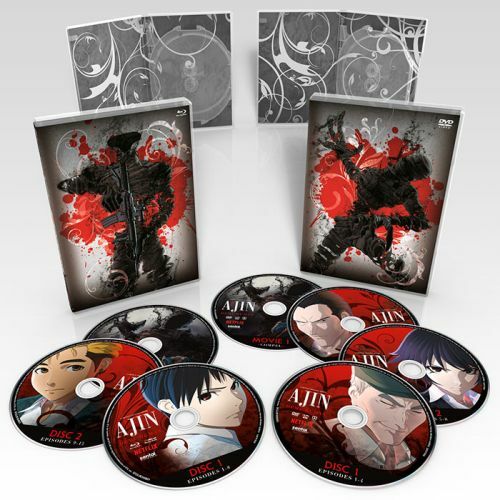 We’re counting down to the home video release of Ajin: Demi-Human on May 16, 2017. To celebrate, let’s take a closer look at all the goodies hiding inside of the limited edition. 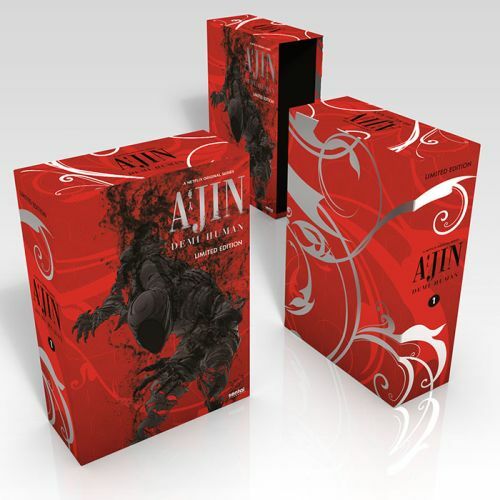 Kei’s Ajin takes center stage on this eye-catching chipboard box. Standard sized, this sleek design brings to life the beauty, and the horror, of a world where immortality is far from being a gift. This edition comes with a DVD/Blu-ray combo pack, containing the English, Spanish, and Japanese dub with English subtitles. 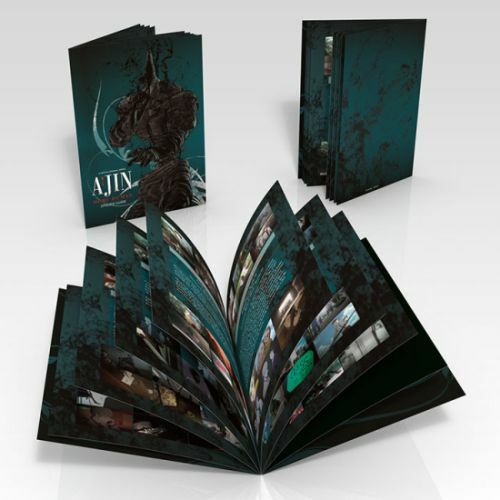 See where the story all started with this special edition of Ajin: Demi-Human manga! 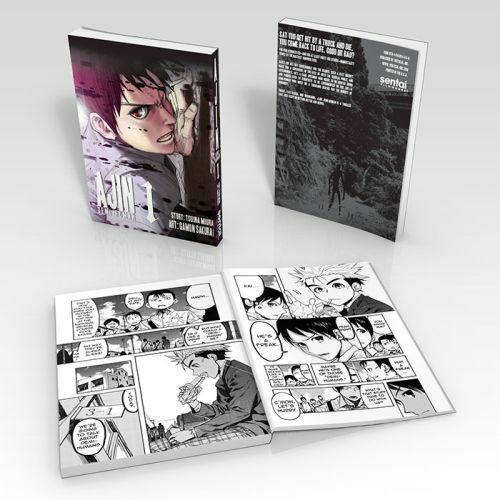 This variant of the manga’s first volume comes with a redesigned cover, exclusive to the premium box set. 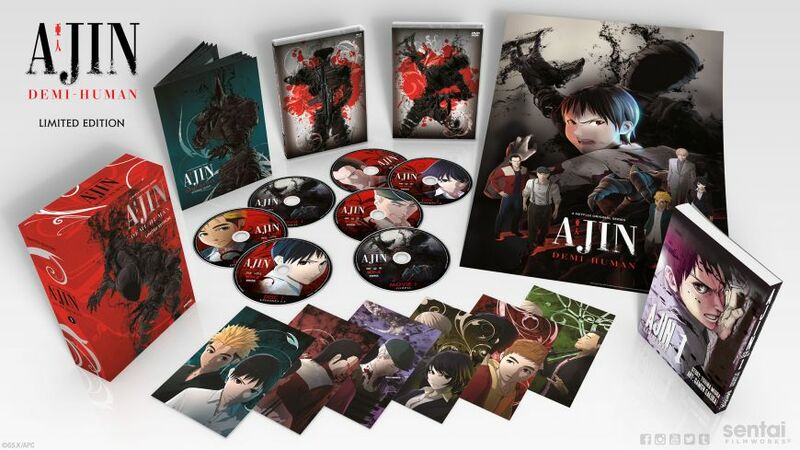 The box set comes with six double-sided art cards, featuring the Kei, Sato (*cough* one of the best antagonists EVER *uncough*), Kaito, and the rest of the unforgettable cast of Ajin. 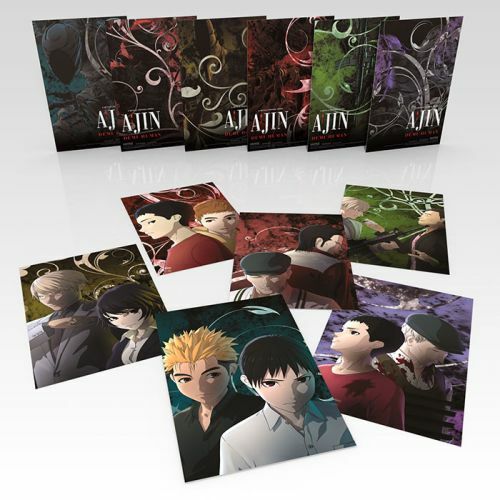 The full-color collector’s booklet is filled with top-secret government files about the nature of the Ajin. Slight exaggeration. However, this booklet, filled with details about the show’s characters and stories, can only be found in the premium box set. Nothing like remembering your own mortality by putting an immortal struggling to survive on your wall. Gritty, dark, with pops of color, this poster is just waiting to be a part of your wall. 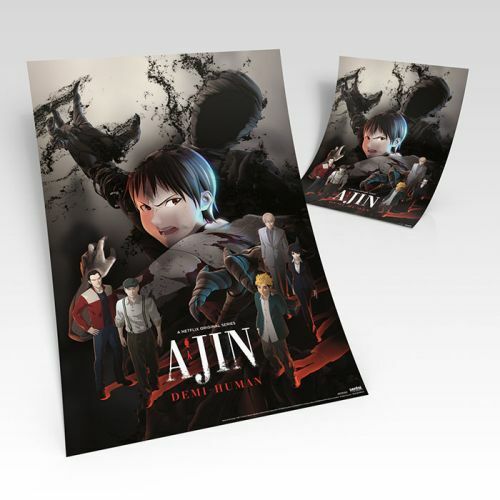 Ajin: Demi-Human is chilling because it depicts an all-too realistic world that clearly isn’t ready for immortality. Add this epic story to your anime collection today.